The deck is stacked against those buying low-income manufactured homes. Though these homes are cheaper in price they’re harder to finance, depreciate in value immediately, and are difficult to insure. Traditional homes offers long-term net benefit to owners; manufactured homes keep owners locked into a downward spiral. This didn’t seem right to Dennis Michaud and he set out to do something about it. The result is Homebuilt, a company that will provide easily assembled kits for self-built structures which are compliant with prescriptive code. First, a little background on the problem. In the early 1900s the age of building codes began with the intention of improving build quality and safety. While having a tremendously positive impact overall, it raised the cost of building and put housing out of reach of those of low income. To remedy the problem in 1976 the Department of Housing and Urban Development developed HUD Code to certify manufactured homes, structures that were not compliant with traditional building code. While less costly to purchase, these HUD Tagged homes came with the above unintended consequences. A home which is built within compliance of all prescriptive code does not require that architects, engineers and licensed contractor be involved. This would also allow owners to get financing and benefit from market appreciation. As a maker Dennis also realized that this would be a great project it if could be done easy and cheaply. The maker movement with its CNC tools, design sharing, and collaboration was perfectly suited to tackle the challenge if he could only set the stage with kits. That’s what he’s set out to do. He’d use industry standard materials, the kind you can pick up at any lumber or hardware store. Using industry standard materials means all doors and windows would fit, electrical wiring could be run as expected, insulation would be the right size, etc. Such materials are cheap since they benefits from mass production. They’re pre certified by the industry and make compliance easier. Also, unlike other kits, the resulting house would look normal and not like a oversized plywood jigsaw puzzle. Scrutinize the picture above in detail to appreciate what he is striving for. 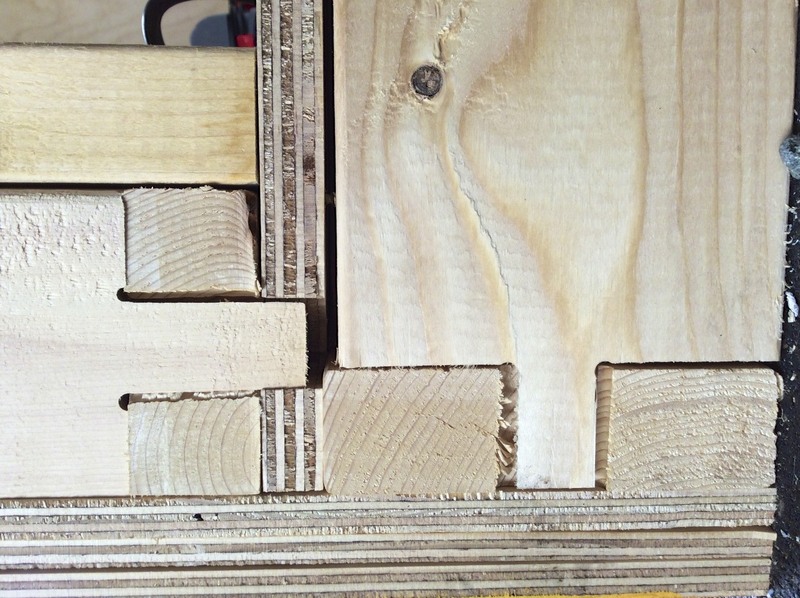 He’d plan for easy, correct, and solid construction by applying techniques and tools made possible by inexpensively CNC tools like ShopBot’s 3-axis mills. Materials would be labelled to make assembly obvious, labeled sequentially and understandably (S-stud, FJ-floor joist, etc). 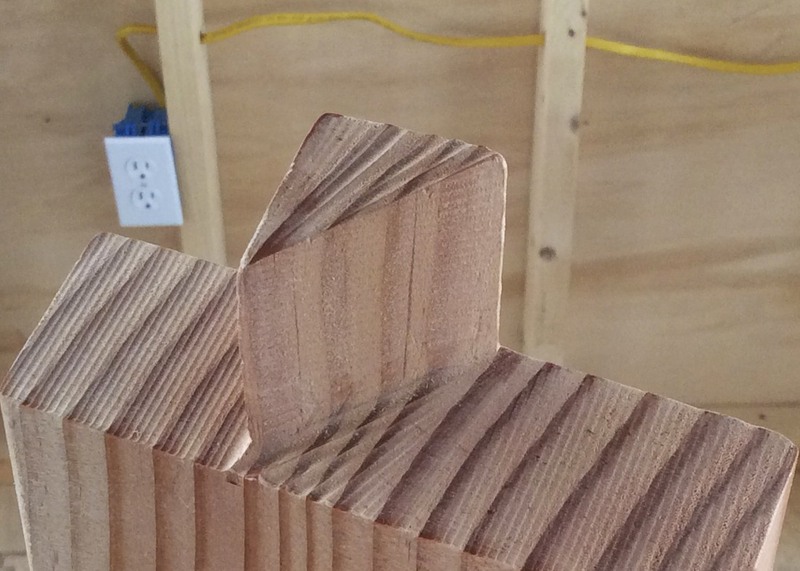 Shaped mortise and tenon joints would make it almost impossible to assemble incorrectly. Tongue in groove assembly would provide the stability to piece it together allowing for single-person builds. 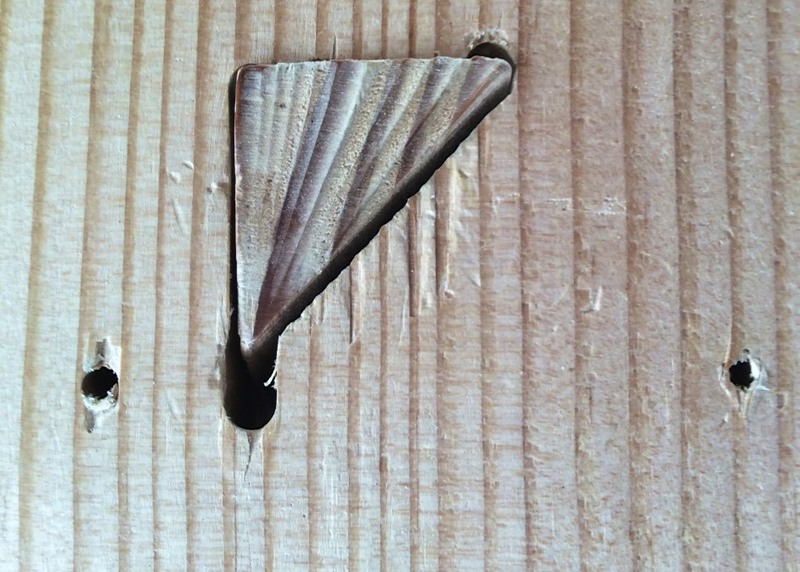 Screws in predrilled holes around mortise would lock in strength. He’d break with tradition. Kits would be produced locally when possible to keep shipping costs down, for example by using a 100K Garages fabricator. Kits could be purchased in small installments so that financing wouldn’t be necessary, makers could build in stages as they had the funds to buy more. Kit designs would be kept open source so the maker community could contribute, rapidly iterate, and advance the concept and he plans on keeping it open source. So where do things stand? Well, Dennis has designed 15 homes using his approach and has built three prototypes. At this stage he believes a 1,200 sq ft home can be build for around $30,000. His plans are to start selling these and building them in Grotten, MA starting in June and later expand in partnership with Tiny House throughout New England. Remember, being within prescriptive code can mean access to loans. It also means no permits, no architects, no engineers and no licensed contractor. It provides the owner with the opportunity to participate in market value appreciation. Much good could come from this taking off. And besides, doesn’t it sound like an awesome maker project? !